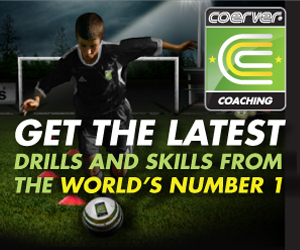 Guide the ball past your opponent, with this drill from Alfred Galustian, head of Coerver Coaching. Remember though, the key to beat a player on the dribble is change of pace. Slow and then a burst of speed after you do your move. 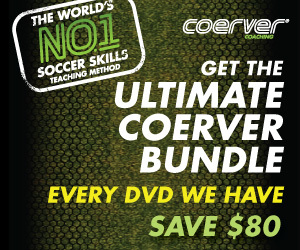 Make the ball your ally and evade the lunging legs of would-be tacklers, with this ball mastery drill from Coerver Coaching. Barcelona's sorcerers Lionel Messi, Andres Iniesta and Xavi appear to have the ball under a magic spell. Shifting it left to right, backwards and forwards, all in the blink of an eye, they scoot past their markers with graceful ease. How would you like to replicate their nimble movements and ball manipulation? Well we have just the ticket. Alfred Galustian, head of Coerver Coaching, has a passion for developing talent and technical aptitude. Working with FourFourTwo Performance, Galustian has provided a series of videos, showcasing drills to help you reach the promised land - to play like Messi. Click play and let the lesson begin….